Some of our ALI friends - those who either went on to parent, and those who are still hoping – can’t understand how we have embraced our No Kidding lives. We may well have felt that way when we were still hoping, too. Actually, if we’re honest, we probably felt that way too when we walked through that No Kids door in Infertility’s Waiting Room, and it shut forever behind us. But we knew there was no choice but to look into the future. After all, if we spend our lives wishing we were parents, we forget to focus on what we do have in our lives, on all the good and wonderful things and people we share our lives with every day. To do otherwise would be to lose far more to infertility than we have already lost. To do anything other than accepting our lives, and embracing them, would be such a waste and a betrayal. A waste of our potential, a waste of our love and humanity, and a betrayal of our grief, of ourselves, and of those very special people who want to spend their lives with us. Oh, I love this. It reminds me of one of my favorite Emerson quotes, "To be yourself in a world that is constantly trying to make you something else is the greatest accomplishment." 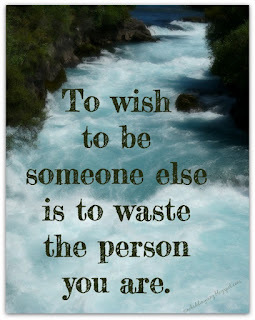 I love the idea of not wasting yourself, wishing you were the something else that the world wants you to be. What a great message, wherever you are that's different than what you'd originally envisioned. Love this: "To do otherwise would be to lose far more to infertility than we have already lost." I've been thinking a lot about resilience lately. Why some can access and some can't seem to. Maybe this is your legacy. Modeling a life of resilience. This is such a good reminder to those of us still in the trenches. Thank you for sharing. I love the words in the photo. A true waste. This post is inspiring revisiting old drafts and finishing thoughts from years ago tied in with today. 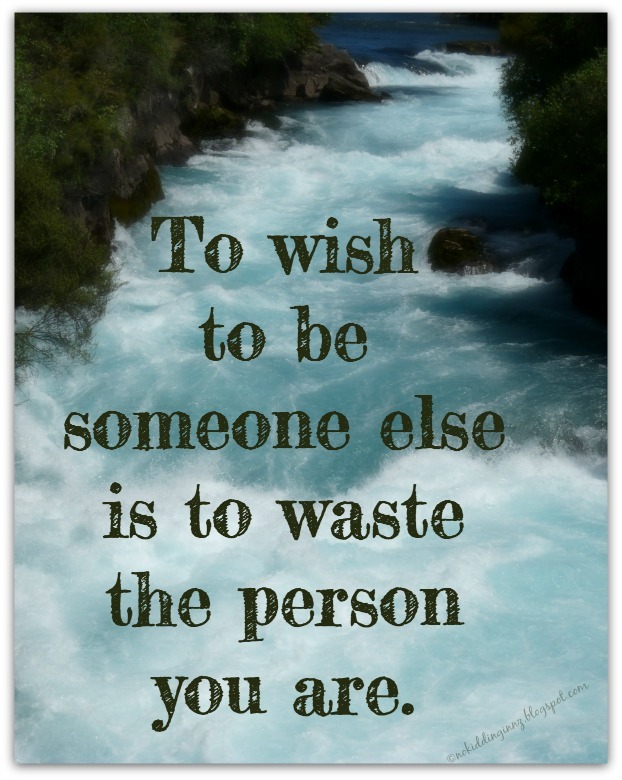 You are absolutely correct about not wasting the person you are. But it's so much easier said than done. Hence why you are an inspiration. Beautifully written. I couldn't agree more. Such powerful words, Mali. Love it! I've come to a place where I need to figure out what's next. My grieving seems to have mainly passed.. and now it feels like "Now what?" i'm trying to figure out how to make the most of my life and the time that I do have. Thanks for this post... it reminded me to really be serious about what to do with these days! So beautifully put. Thank you, Mali!